Discover the best of both town and country in Scotland’s gorgeous Granite City. Strolling down Aberdeen’s cobbled Belmont Street and checking out the quirky cafés won’t cost you a penny, but if you are after a bargain the city has four fantastic shopping malls to choose from. History buffs can discover the city’s humble beginnings on a tour of Old Aberdeen, which has a number of beautifully preserved buildings from the Middle Ages. For £11.99 (per person), families can keep the kids entertained at the city’s Sunset Boulevard, where you can experience all the fun of the fair in a beautiful seaside location. Freebies: Union Terrace Gardens, Old Aberdeen, the Maritime Museum, Aberdeen Art Gallery, Duthie Park and Balmedie Beach. Brimming with natural beauty, Northumberland is the perfect place for a budget country break in the UK. 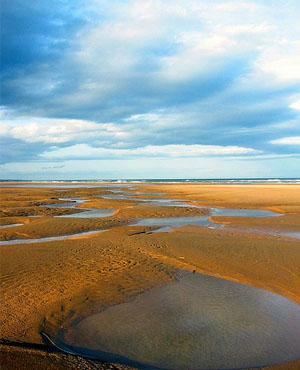 Take a stroll along the sandy shores of Bamburgh Beach on a sunny afternoon, and discover the truth behind the legend at the Grace Darling Museum, which costs just £2.75 for adults. Roam through the rolling valleys and rivers which run through the north of the Northumberland National Park before heading south to pay homage to Hadrian’s Wall. Spend a soothing day exploring the enchantingly beautiful Holy Island of Lindisfarne, which has a humble monastery, a mead-making winery and a visitor’s centre with a £3.00 entry fee for adults. 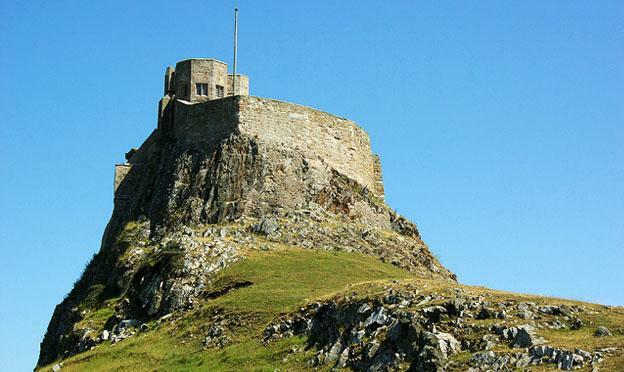 Freebies: Hadrian’s Wall, Bamburgh Beach and the Holy Island of Lindisfarne. Northern Ireland’s thriving cosmopolitan capital is a delightful combination of vibrant nightlife, luscious green parks and top-notch pubs. Birthplace of sixties singer Van Morrison, Narnia writer C.S. Lewis and the notoriously doomed Titanic ship, Belfast has a whole host of historical tales to tell. Discover the man behind the magic on a tour of C.S. Lewis’ former haunts, which is a snip at just €10, or have a cheeky G&T at the charming mid-19th century Crown Liquor Saloon. If you fancy some fun, spend the day splashing around at the Lagan Valley LeisurePlex, which has a diving pool, a whole host of wild water rides and a very reasonable price tag of €7.35. Freebies: The Botanic Gardens, Belfast Castle, St. George’s Market (Friday and Saturday only) and the Crown Liquor Saloon. Once hailed as the European Capital of Culture, Liverpool is a vibrant metropolis that’s a great place for a budget break. Discovering the city’s chequered past at the Slavery Museum and flexing your creative muscles at the Tate Liverpool won’t cost you a penny, but if you’re a fan of Brit-pop band The Beatles you might want to cough up the £12 admission fee for The Beatles Story Museum. If you’re up for a spot of exploring, take a trip on the traditional Explorer ferry boat, which lets you see the city sights for a penny-saving price of £6.40. 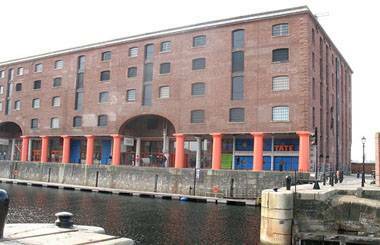 Freebies: Tate Liverpool, the Slavery Museum and St. Luke’s ‘Bombed Out’ Church. For a cheap but chic alternative to Cornwall, look no further than the South Wales’ town of Tenby. With quirky shops, charming Georgian architecture and lots of sandy beaches to boot, Tenby is the best place for a budget coastal getaway. Soothe your soul with a stroll along the award winning North Beach, which is nestled between Harbour Beach and the soaring North Cliffs. 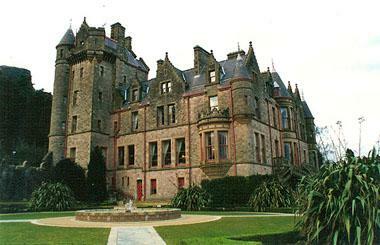 Travellers with a taste for the spiritual can find enlightenment on Caldey Island, which has long been a home for various orders of monks. The monks hold religious services seven times a day, but somehow they still find time to bake delicious batches of shortbread! 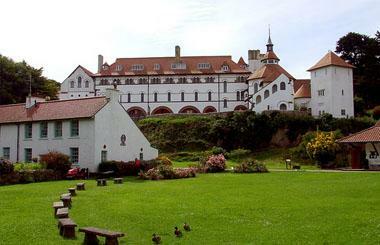 Freebies: Caldey Island, North Beach and the Pembrokeshire Coast Path. The “Best of British: The top 5 budget UK getaways” guide was written by Mark Wain a travel writer and of Enjoy Bed and Breakfast; where you can find fantastic bed and breakfasts in York, Manchester and Brighton.